The presentation focused on the most acute problems of implementation of the International Covenant on Civil and Political Rights. The speakers were Dzmitry Charnykh, Belarusian Helsinki Committee; Volha Smalianka, Legal Transformation Center; Siarhei Drazdouski, Office for the Rights of Persons with Disabilities; Valiantsin Stefanovich, Human Rights Center "Viasna"; Siarhei Ustsinau, Legal Initiative; and Aleh Aheyeu, Belarusian Association of Journalists. Belarus, as a party to the International Covenant on Civil and Political Rights, is obliged to periodically submit reports to the UN on the implementation of the Covenant. Despite this, the government last reported more than 20 years ago. This year, the Belarusian authorities will finally present such a report at the 124th session of the UN Human Rights Committee, to be held in Geneva from 8 to 9 October. 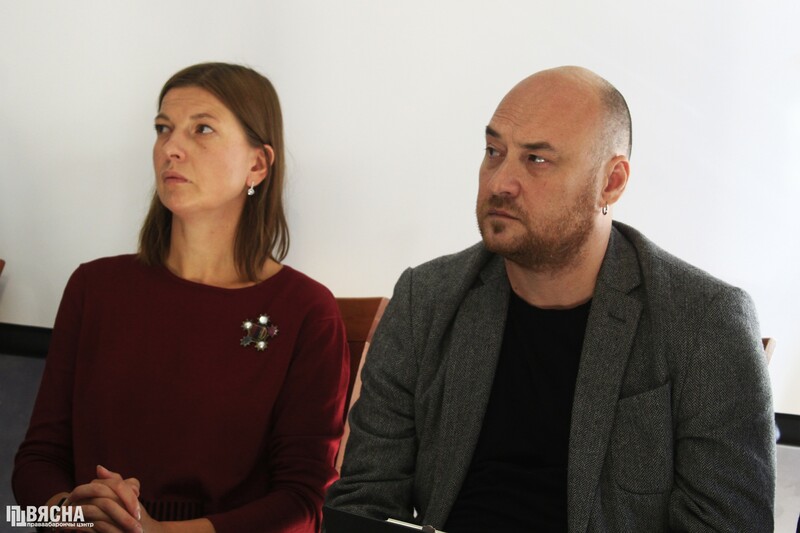 “For the first time in 20 years, Belarus will report to the Committee, and the human rights organizations aim to offer an alternative point of view, an alternative vision of what is happening in the field of human rights in Belarus,” Volha Smalianka, director of the Legal Transformation Center, said. In 2015, Belarus applied to the UN for a simplified procedure of the report presentation. The Human Rights Committee, in this case, only formulates questions, which are of interest to it. Thus, the government’s report contains a concentrated information on separate issues. Belarus prepared and submitted its report to the Committee in 2017. Human rights activists also answered the Committee's questions, and submitted their alternative report. Unfortunately, in Geneva, there will be no debate, in the usual sense of the word, between human rights defenders and representatives of the government. “The procedure for the consideration of reports is set up in such a way that members of the civil society cannot ask questions about the report to representatives of the state during its presentation, and vice versa. Everything passes through the members of the Committee. If they do not understand something, they ask a question to the government. And we only can encourage them to ask this or that question, which we consider important. Nevertheless, we believe that there will be many questions, because there is a backlog of issues accumulated over the 20 years,” Dzmitry Charnykh of the Belarusian Helsinki Committee said. The authors of the report outlined the key problems in Belarus’s implementation of the Covenant and recommendations to the government. In particular, the Human Rights Center "Viasna", among other topics, contributed the section on the prohibition of forced labor. Valiantsin Stefanovich stressed that the issue of forced labor is still highly relevant, since students and government employees continue to be sent in large quantities to perform agricultural work. “In our report, we mention the things that we earlier recommended, but once again we have to write about them. As for medical-labor dispensaries, we already have recommendations from the Committee on Social, Economic and Cultural Rights of the International Labor Organization. Nevertheless, this practice continues: every year, eight thousand people are sent to perform forced labor there. This also applies to Decree #18 regarding so-called obligated persons (persons deprived of parental rights who are forced to be employed under threat of administrative and criminal liability). The report also describes the forms of forced labor, including the sending of employees of enterprises and school students to harvest crops. In Belarus, this is done without their consent, in violation of labor laws, including the national ones,” Valiantsin Stefanovich said. The human rights activists also highlighted the issue of the death penalty in Belarus. “Cases of death sentences by the Supreme Court as the court of first instance make it impossible to appeal against the sentence,” Stefanovich said. He also notes the non-transparent work of the Commission on Pardons. Representatives of the public and the media may be invited to its meetings, but all attempts of human rights defenders to do so have so far been unsuccessful. The human rights activists point out that Belarus ignores its obligations under so-called interim measures procedure at the UN Human Rights Committee. If the HRC receives a complaint from a person sentenced to death, the government cannot carry out the sentence, pending a decision. However, in Belarus, there are at least 10 cases where the death row prisoners were executed while their complaints were being considered at the Committee. Currently four people are on death row in Belarus, two of them have registered their communications at the UN HRC. Human rights activists urge the Belarusian authorities to impose a moratorium on executions as a first step towards its complete abolition.